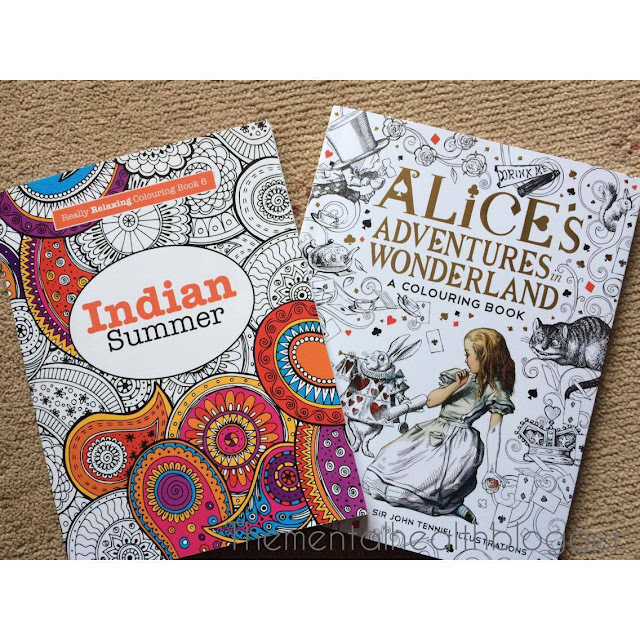 The huge craze at the moment is adult colouring books and as silly as they sound, I love them! It is great to spend some time feeling like a child again and just being able to colour in. But why am I blogging about this? Well, it is proven that colouring relieves stress as it increases mindfulness, as we focus solely on the task at hand. The colours you choose are also supposed to have a psychological meaning behind them, representing deeper emotions. This can be seen as you expressing yourself and relieving pent up feelings. 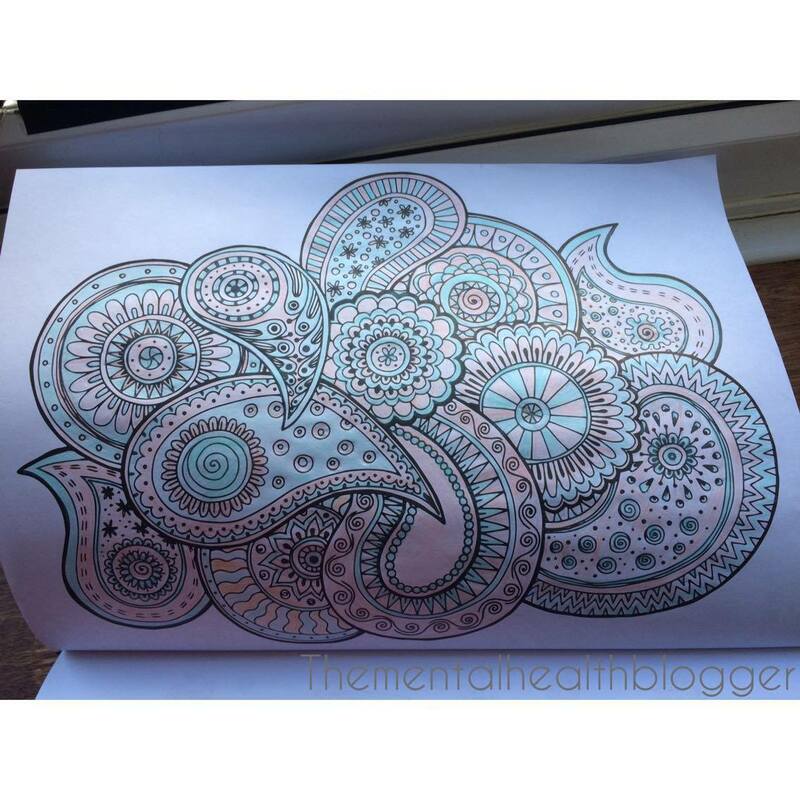 I now make an effort to colour in whenever I can as it is so relaxing and therapeutic. Just a small session of 10-15 minutes of colouring completely resets my brain and then I can get on with my day. I enjoy colouring just before bed as it is nice to relax before going to sleep, I am curious to see if colouring will help me on the nights where I suffer with insomnia. I would hugely recommend buying one of these books, there are so many available with pretty designs inside. These colouring books are now being referred to as the new type of therapy, so why not give them a go? According to an article in the Guardian that I read (link at the end of the post) this craze began in France, as they are "the worlds top consumers of antidepressants in the world". So colouring books were tested out as a way to help relieve depression and anxiety and it is proving to work. With sales rocketing in France and now it becoming a craze in the UK and possibly other countries, this really does seem to be the newest way to relieve mental illness and stress. 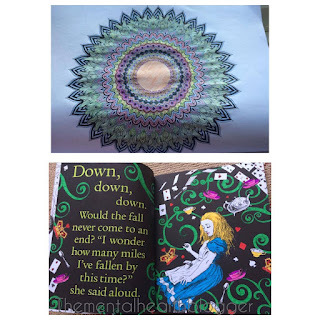 Here are some more of the pages I have completed. Colouring doesn't have to be done on your own either, one of my best friends and I met up yesterday and did a chilled afternoon of colouring and watching Mamma Mia. It was lovely and relaxing. Definitely going to have to buy the Alice in Wonderland one! Such a lovely post to read. Thank you Kat, I bought the Alice in Wonderland one in WHSmiths for £10.